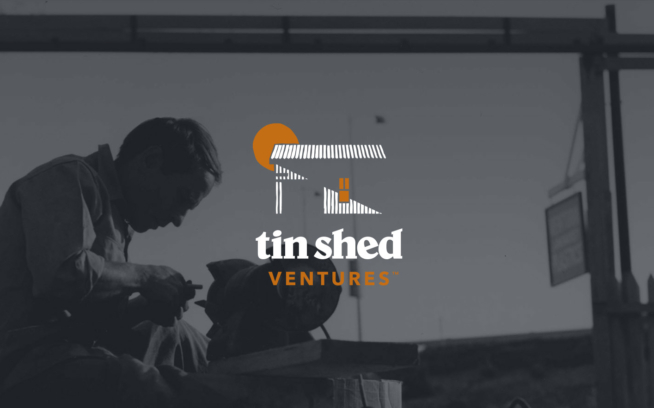 Patagonia’s $20 Million & Change fund [Update: the investment fund is now called Tin Shed Ventures.] was launched in 2013 to help innovative, like-minded startups bring about solutions to the environmental crisis and other positive change through business. Or, in Yvon’s words, to help entrepreneurs and innovators succeed in “working with nature rather than using it up.” Today, we’re introducing you to one of those companies, Bureo, a fellow B Corporation and member of 1% for the Planet. From his cabin in Cocholgüe, Ben Kneppers can see the ocean. An American entrepreneur from Cape Cod, Ben is an unlikely resident of this small coastal community in the south of Chile. He is a co-founder of Bureo, an innovative company that transforms discarded fishing nets into recycled products. In Chile, Ben works on the ground overseeing Bureo’s Net Positiva initiative, the recycling program that is the foundation of their business. Through Net Positiva, Bureo facilitates the collection of discarded nets to obtain the raw materials necessary to manufacture sunglasses and sidewalk cruiser skateboards while simultaneously reducing plastic pollution. Ben works closely with both regional managers and community managers involved in Net Positiva, which currently operates in three major regions in Chile: Iquique, in the far north; Coquimbo, which is a bit farther south; and Concepción, where Ben lives. Within each region, there are five to a dozen fishing communities who participate in the Net Positiva program, each with their own community manager. Ben acts as a kind of national manager but that doesn’t mean he works in an office, far from the action. Instead, he is constantly on the road, working directly with the fishing communities who participate in Net Positiva. When the Bureo team recognized that they didn’t know how to best distribute the funding, they turned to local nonprofit organizations for help. In the Concepción region, Bureo collaborates with Fundación El Árbol, a grassroots NGO that supports recycling, environmental education and community empowerment—a combination that meshes well with Bureo’s mission. Fundación El Árbol is organizing workshops with community leaders to determine how best to use the funding from Bureo. Examples include the development of a community composting center in one village and establishing a recycling point for cans and bottles at a centrally located elementary school in another village. Bureo also supports environmental education workshops which include beach cleanups and more general programs to educate youth in the area about environmental topics. This kind of community engagement is a cornerstone of Bureo’s mission, and Ben’s commitment to living and working closely with the community helps to make it a reality. Ben notes that Bureo’s funding of community projects has been well received but the crucial thing will be staying true and committing to it. Unlike other do-gooders who might come in, promise the world and then disappear two weeks later, members of the Bureo team have established a lasting presence in the communities they work with. In return, Chilean fishermen and their communities have been willing to collaborate with Bureo and accept the new ideas put forth by the “three gringos,” as Ben, David and Kevin are known locally. Earning respect and trust is not only key to the operation of their business, it is also key to building meaningful, sustainable relationships. For more information on Bureo and Net Positiva, visit bureo.co. Brooke Ortel is a senior Environmental Studies major at Oberlin College, where she also runs cross-country and track. She minored in chemistry and hopes to pursue environmental journalism or science writing after graduation. Growing up on Block Island, Rhode Island, inspired Brooke’s interest in environmental science and sparked her love of the outdoors. 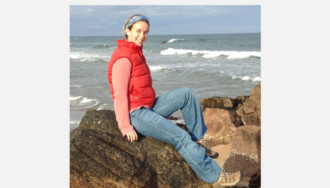 Her family owns and operates the Block Island Sport Shop, a specialty outdoor retailer.